I love summer – always have: long days with nothing scheduled, nowhere to go and plenty of time to relax outside. My kids seem to feel the same. 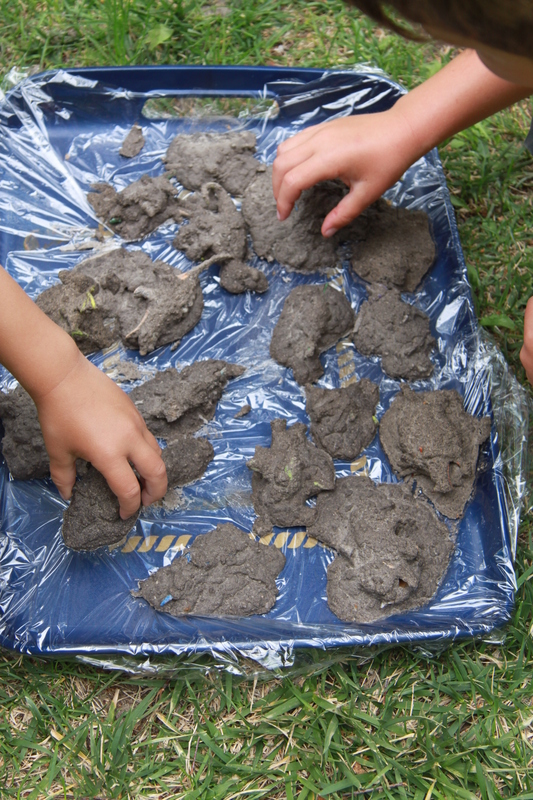 While I had been a little apprehensive that they would find all this ‘down time’ a little dull after the busy school year, they’ve really embraced the slower summer pace and are enjoying pottering around the garden inventing their own worlds and games. My older two (both boys) are interested in logistics, maps and transport. They also love the Busy Town books and have in past weeks used this books as a spring-board to ask about town organization. To combine and extend these interests, and to keep them happily engaged outside, we invented the ‘Busy Town Garden Game’. 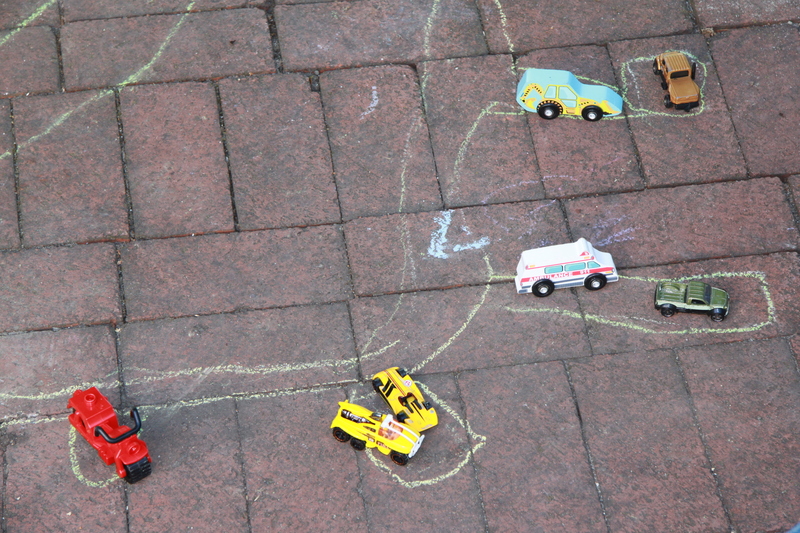 One afternoon I cleared the patio, took out a box of chalk and drew three boxes on the ground each a few feet apart. I labeled one the ‘school’, one the ‘shop’ and one the farm. I told the boys this was the start of their own ‘busy town’ and invited them to complete it. They took to the idea immediately, connecting these ‘buildings’ with roads. And then the game took off and they thought about what other buildings and institutions a town needed and added them to the patio. Over several afternoons, the map has grown ever larger with increasingly specialized businesses and vast suburbs. The boys added cars and traffic signs to the town and are asking to start building structures out of boxes tomorrow to add to their project. I love how this has stirred their imagination. I also love how busy it has kept them. 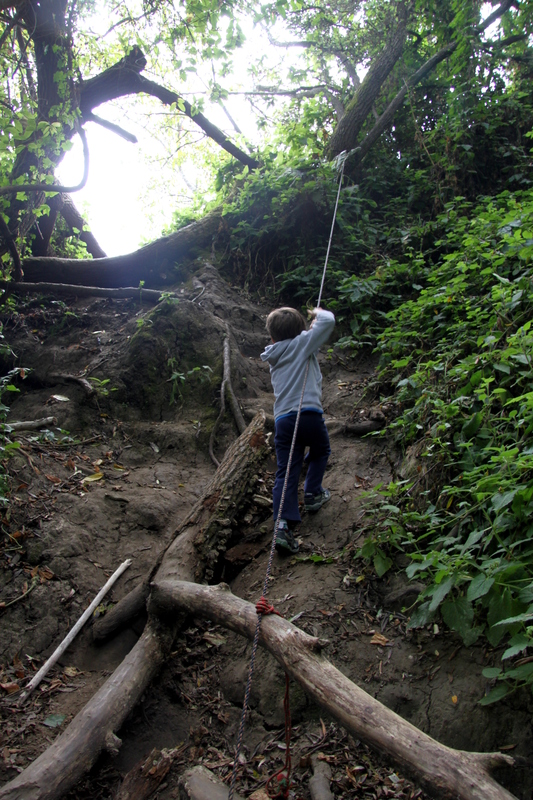 Montalvo Arts Center — A Destination for Preschoolers? 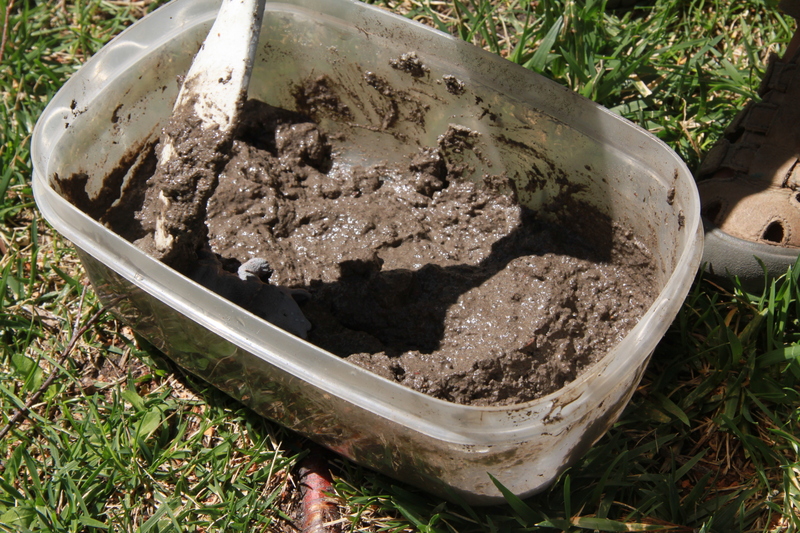 This spring we decided to check out Montalvo Arts Center. I confess to not having high expectations of a successful visit as I wasn’t too sure how much there was for small kids there, but I was pleasantly surprised. We happily spent a long morning wandering around the grounds, and could probably have remained the whole day had Mommy packed a lunch. 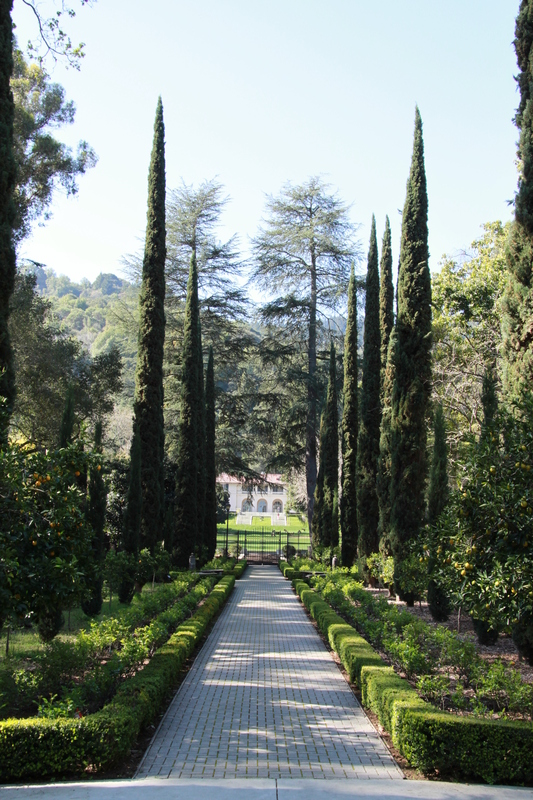 Montalvo Arts Center was originally Villa Montalvo built by US Senator James Duval Phelan in 1912. It’s a beautiful house surrounded by magnificent gardens and wilderness. 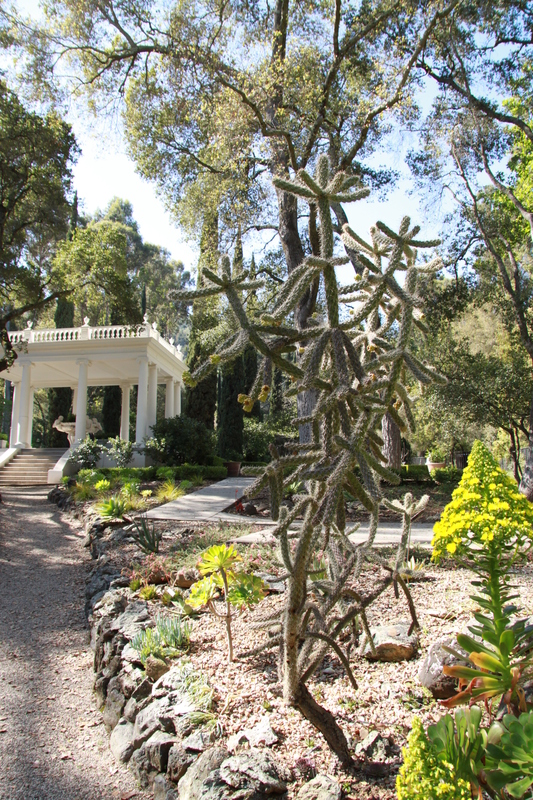 We spent the entire morning exploring the art sculptures on the villa lawn, the Italianate Garden and the Phelan Cactus Garden. These botanical gardens were large and interesting enough to keep our preschoolers happy for a good long while: they loved running around exploring all the different paths and checking out the statues. The cacti were especially appealing to the boys as they had seen them in books before our visit. The cactus garden was also full of lizards, juvenile southern alligator lizards and western fence lizards, and they were mesmerized watching these creatures scurry about. In fact, we had so much fun in the more formal gardens that we never even made it to the trails (our original goal). Watch this space…..
Montalvo has free parking and the gardens are open to the public all year round unless there is a big event taking place. 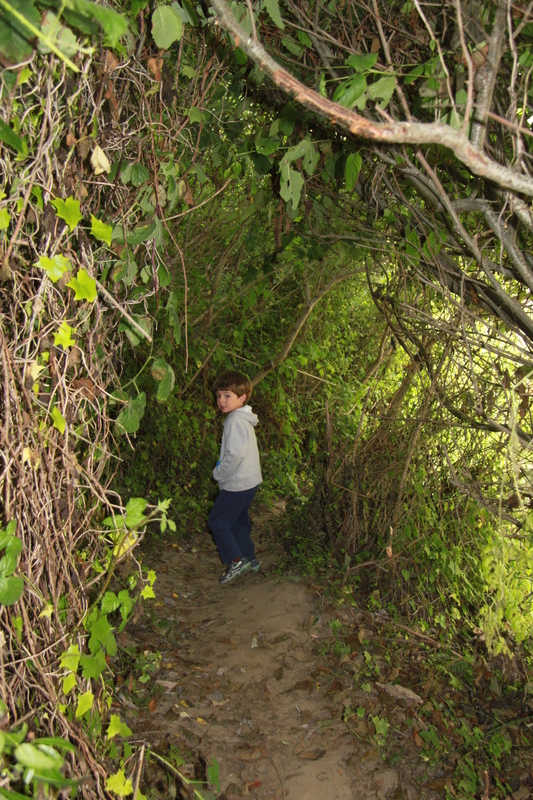 Next time we plan to bring a picnic and stay for the day so we have time to hike some of the back woods trails too. After resisting taking The Monkey to ‘A Day Out With Thomas’ at Roaring Camp Railroads for the last two years (I’m a big fan of the basic Thomas toys and books but I don’t like the commercial hoopla that now surrounds the brand), this year I broke down under his pleas and bought tickets. And in the end it was both better and worse than I’d expected. Some parts of the day were really well organised. The system for getting hundreds of families on and off the train worked remarkably smoothly. I also loved the way they’d set up the bouncy houses with different bouncy houses for different age groups. This meant my 2 and 3 year olds could bounce safely away from the more energetic 6 and 7 year olds. 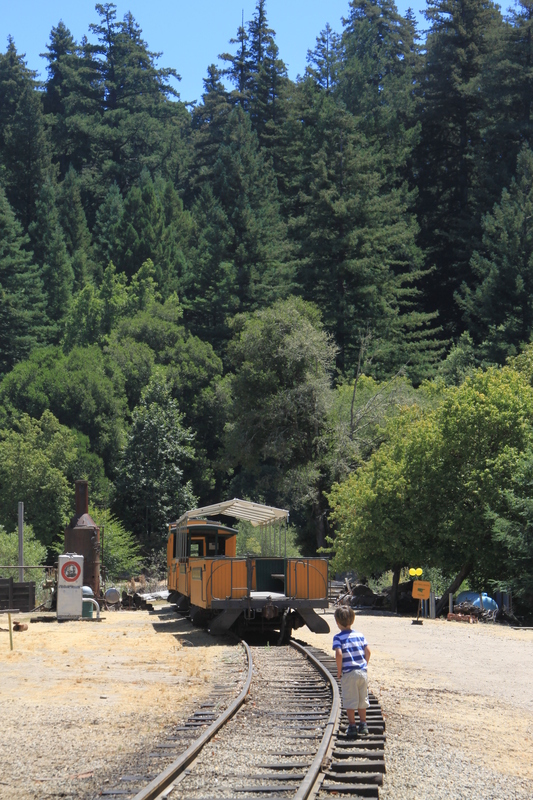 Roaring Camp itself is a beautiful location and we had lots of fun exploring the old trains and track. It gets pretty crowded. We booked an early train ride and were in and out of the place by lunch. 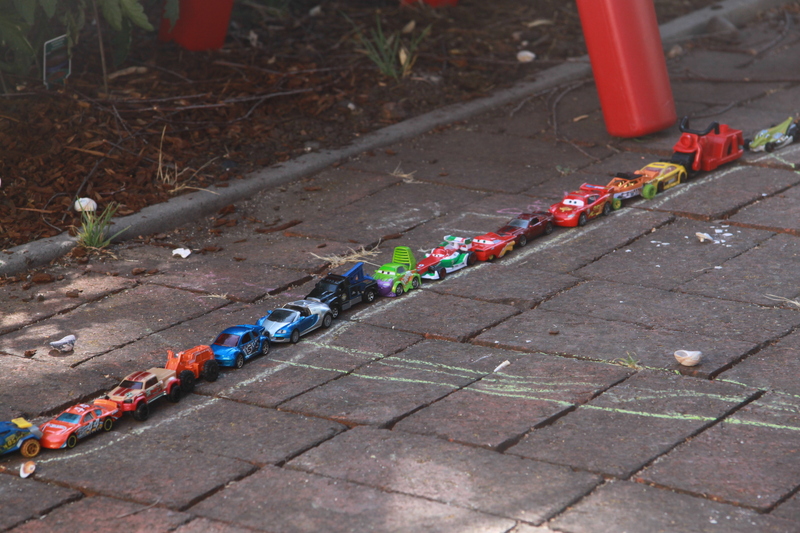 I’m not sure how my kids would have dealt with the long afternoon queues. There were a couple of fun booths for kids set up away from the tracks with some interesting toys and art materials. But these were totally inadequate to deal with the number of visitors. 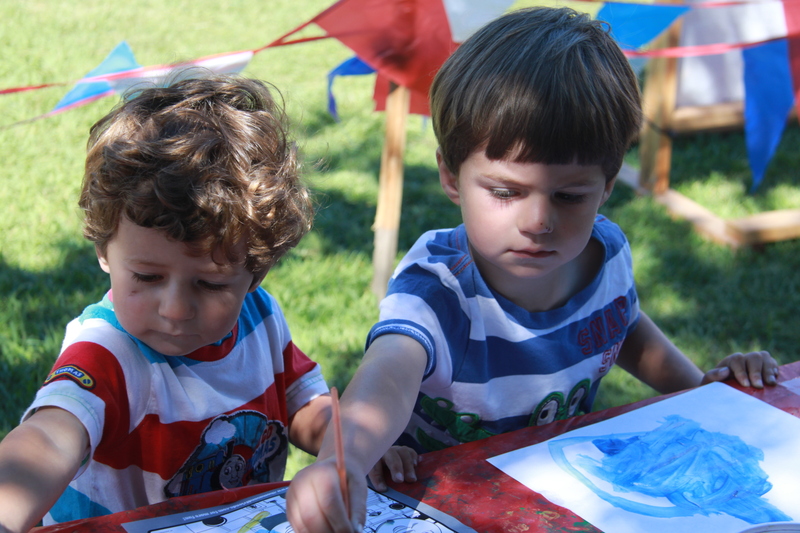 My boys really enjoyed the painting area and, luckily, were the only kids there first thing in the morning. I say luckily because there was only one small table with room for, maybe, six kids and only four little pots of paint and paint brushes. I can’t quite imagine the scene there when it got busier. We found a similar problem in the toy area where there were five train tables set up but almost no trains. Seriously, there were twenty engines toys with about 50 boys trying to grab them even early in the morning. It was a total melee and, after I was eventually able to procure our boys trains to push, I had to stand over them constantly to stop other kids snatching them away. Given the organisers knew how many tickets they’d sold, I think they ought to have made better provision in the toy and art areas to deal with the expected number of visitors. Synchronized painting. A new Olympic sport. If your kids like face-painting (and thankfully ours don’t) be prepared for very, very long queues. The train itself is very long. If you are in the first two train carriages, you can see Thomas. If you’re not, forget it. That said, the train ride itself is pretty enjoyable. But if your kid is really excited about riding with ‘Thomas’ in particular, he’s going to be pretty disappointed if you’re in one of the middle or end carriages. No. It’s pretty pricey and a bit too crowded. 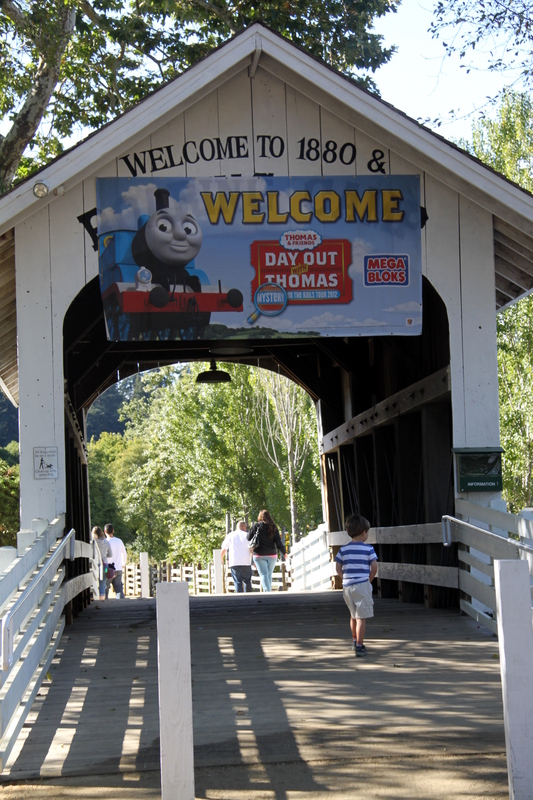 Plus our kids enjoyed the old Roaring Camp trains and railroad far more than the Thomas events. I think next time we’ll visit on a non-Thomas day. -make sure to book early for the train and get a ticket in carriage 1 or 2. It’s not really worth the ‘special’ Thomas price otherwise. -keep your kids away from the store unless you want to be whined at all afternoon. It was a buying frenzy in there and the prices were much higher than you’ll find on everyone’s favorite online retailer. After picking berries at Swanton Farm, we decided to explore Pigeon Point Lighthouse State Historical Park as it was just too breezy to sit on a beach (our original plan). This historic lighthouse is a fun destination for kids and adults alike and we spent a good ninety minutes poking around the site and exploring the park’s short coastal walkways. 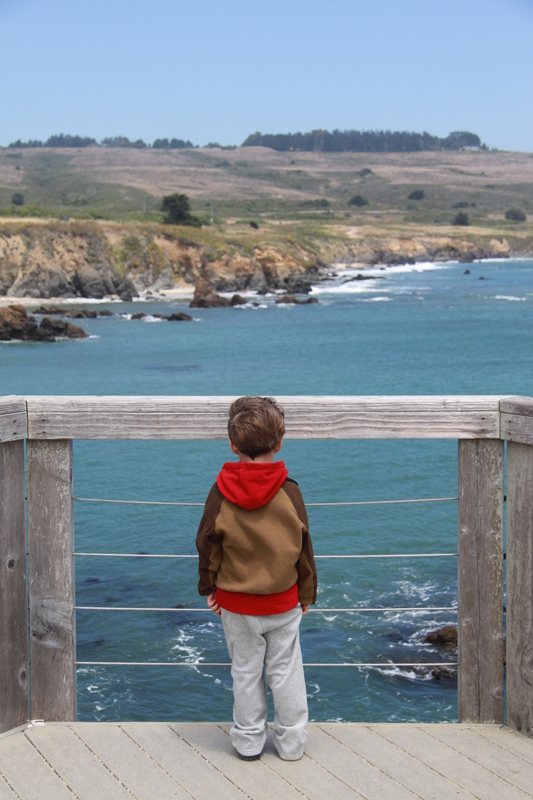 Pigeon Point is a cove full of history. I never really think of the Gold Rush as a naval event, but of course it was as the sudden and dramatic population growth in California post-1850 brought increased shipping to the area. 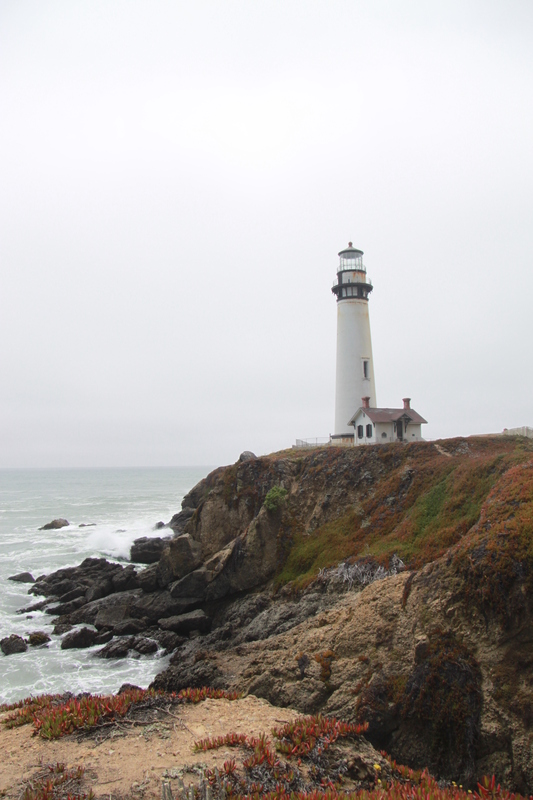 Pigeon Point itself acquired its name from the calamity that led, in part, to the building of the lighthouse. In 1853 the Boston-based clipper the Carrier Pigeon ran aground and was wrecked. In the following decade, as the volume of shipping along the coast increased further, three more ships were lost on the point and it came to have a reputation for being particularly dangerous. In 1872 the lighthouse was built to help ships navigate these treacherous waters. In the following decades a small Portuguese whaling factory also sprung up in the cove, the remnants of which can still be seen on the rocks if you look carefully below the wildflower walk lookout. While you can no longer go into the lighthouse itself, it is spectacular from the outside, and there are fun displays about the history of the lighthouse and the surrounding area in the outbuildings. You can also see a giant example of a Fresnel Lens which our three-year old found fascinating. And operate fog horns ‘through the ages’ which both The Monkey and The Puppy Dog loved. There is also plenty to see outside the lighthouse buildings. 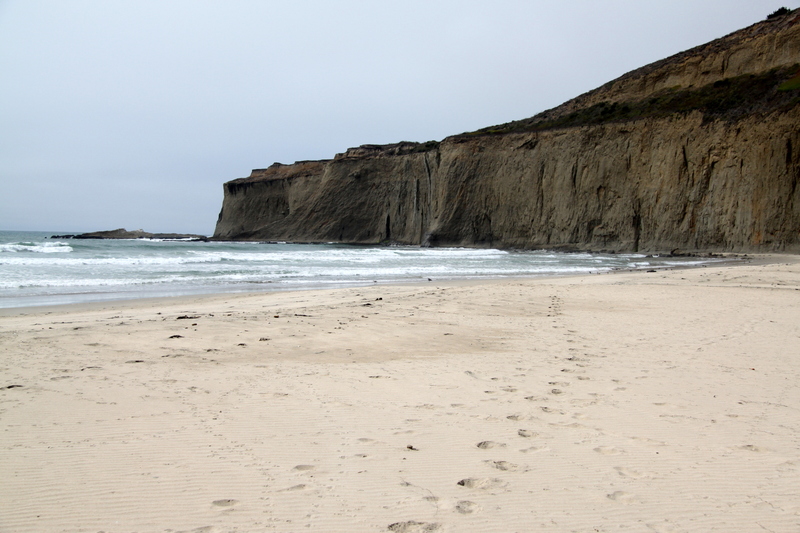 There’s a short walk among the clifftop flowers, spots to watch the spectacular waves breaking on the crags below, and a viewing platform for harbour and elephant seal and grey, blue, and humpback whale spotting. We spent a long time with the boys watching three seals play in the water and the waves breaking on the rocks, which of course led to hundreds of questions from The Monkey about what made waves, whether seals get cold, what seals eat and where they sleep, what lighthouses are for etc? Very educational. One of our favourite things to do in the summer is to head over to a local ‘u-pick’ and load up with berries to freeze for the winter. Usually we do our beloved Live Earth Farm’s strawberry u-pick, but we had to miss it this year due to a clashing engagement. I’ve tried Webb Ranch Farm but have not been that impressed: no strawberries and an admission fee just to pick on top of the price you pay for the actual fruit just seems wrong to me. 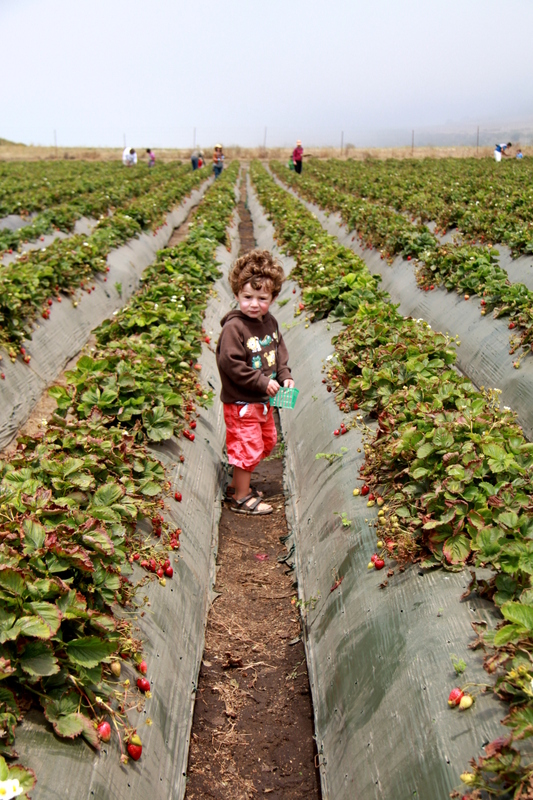 So this year we drove out to Swanton Berry Farm near Santa Cruz to try our luck there. Swanton is a no frills, low-key, traditional kind of place and lots of fun. You just turn up, collect a box, and head right out to the fields where the berries are plentiful. Payment is on an honor system — you weigh your own fruit and just leave the correct change on the counter — so make sure to bring cash. In fact, bring extra cash, as there is little chance you’ll walk out of their farm shop without also buying some of the farm’s jam, pies, and crumbles. Mmmm. So many to choose from. The berries were good, though not as good as Live Earth Farm’s (but then no berry I have ever tasted compares to Live Earth Farm’s strawberries) but it was really nice to pick fruit with a sea view. 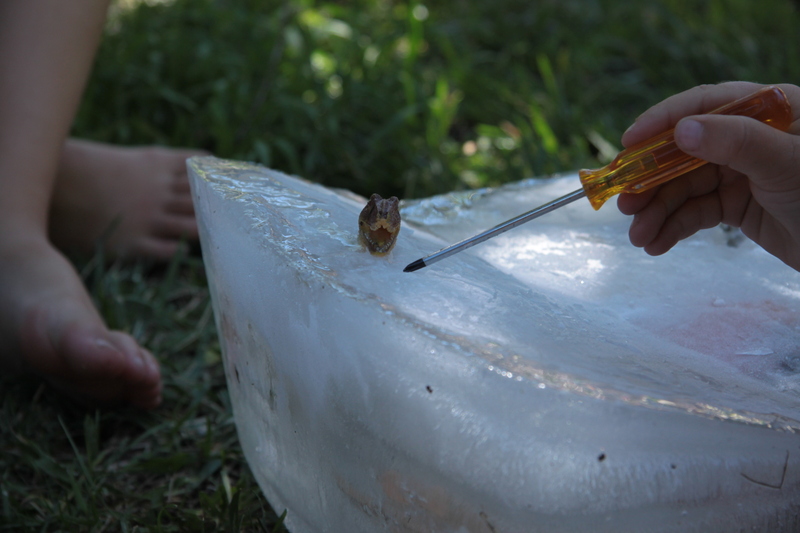 And the kids loved it. I think we’ll be back up there for blackberry season in a few weeks. For more information on opening times, find the farm website here. I guess prices may vary over the season, but I thought the $2.50 a pound they were asking for organic strawberries this weekend was quite reasonable.